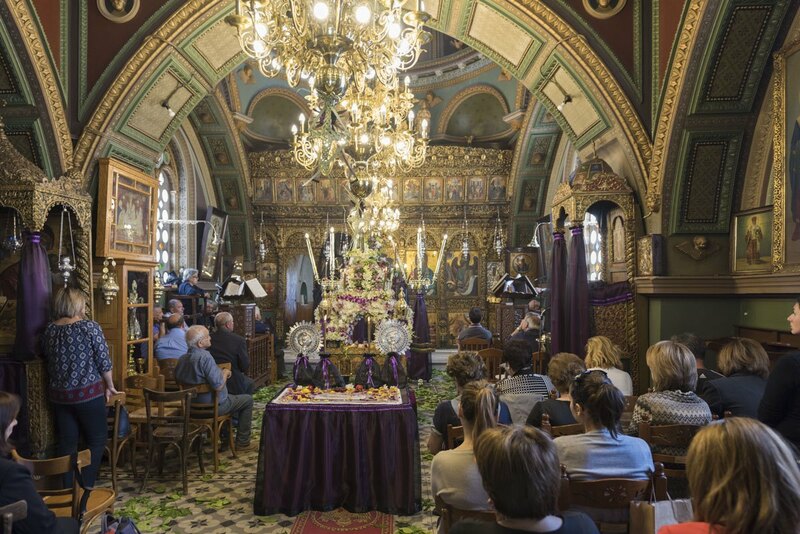 Orthodox Easter is a wonderful time to explore Greece – the weather is warm, tourists haven’t yet arrived and locals are happy to welcome visitors to join the celebrations. 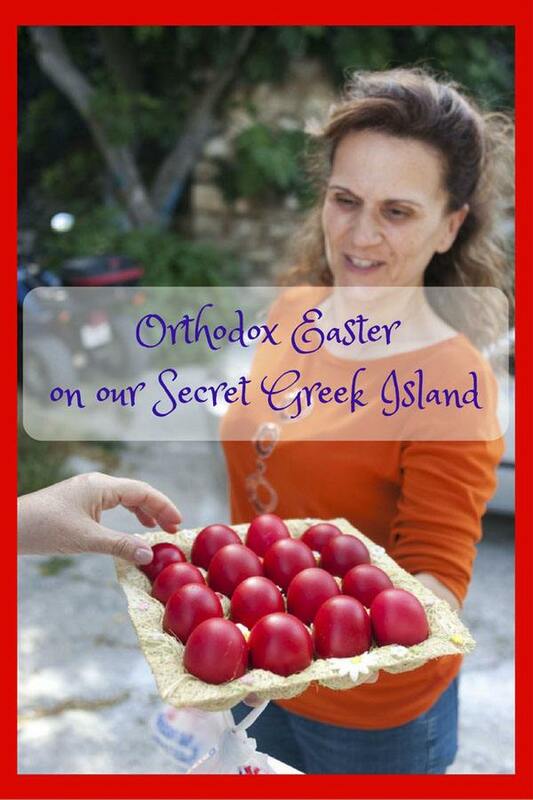 This year, we were lucky to spend Orthodox Easter on a Greek island, Astypalea, a remote and unspoilt piece of heaven. The clock hit midnight, and the crowd exploded. The pungent smell of firecrackers filled the air. 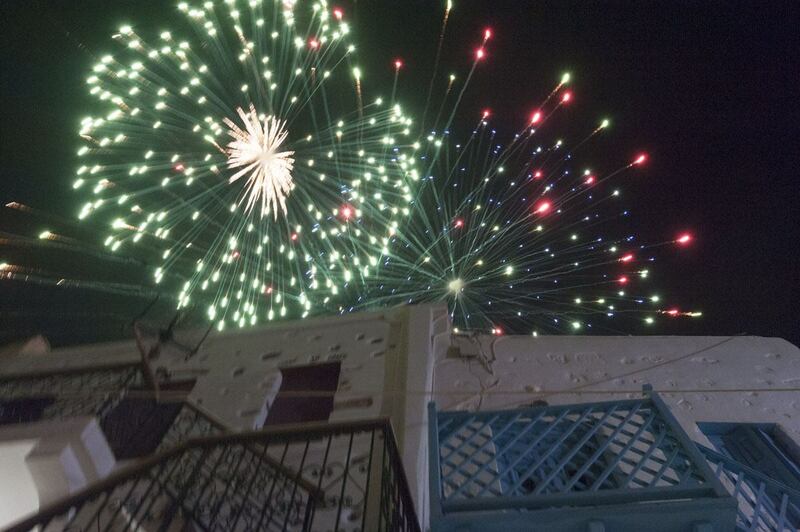 I could hear boom-booom-badaboom but couldn’t see anything – only a slice of sky was visible from where I was, between the roofs of Astypalea and the heads of many, many bystanders. The crowd had waited in patient silence for hours, packed in the tiny church. A few hours earlier, I had tried to enter and follow the celebration – yet, it felt overwhelming. Perhaps it was the heat. Or the small space. Or faith – a concept that I have never been able to grasp, let alone understand, yet always seems to blow me off my feet with its intensity. 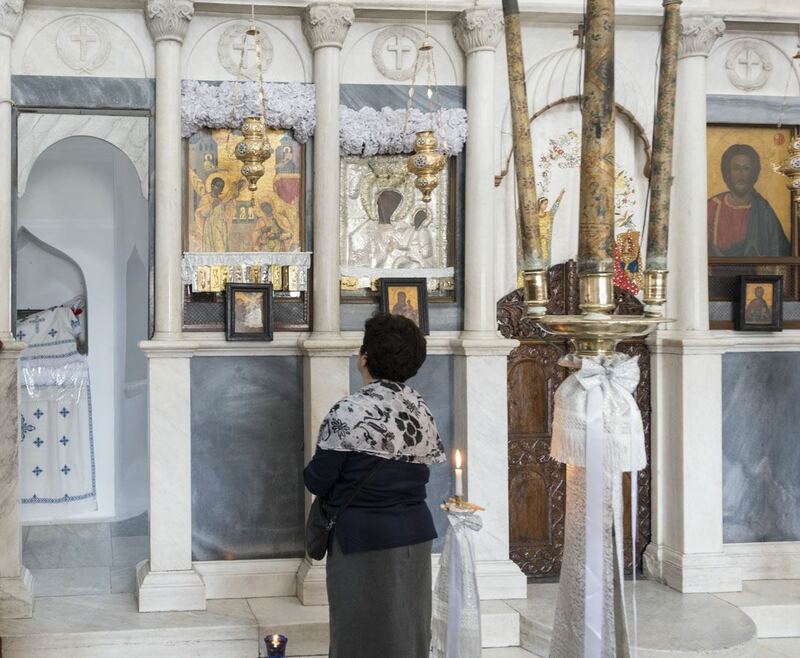 Inside the church, there was a shared sentiment. 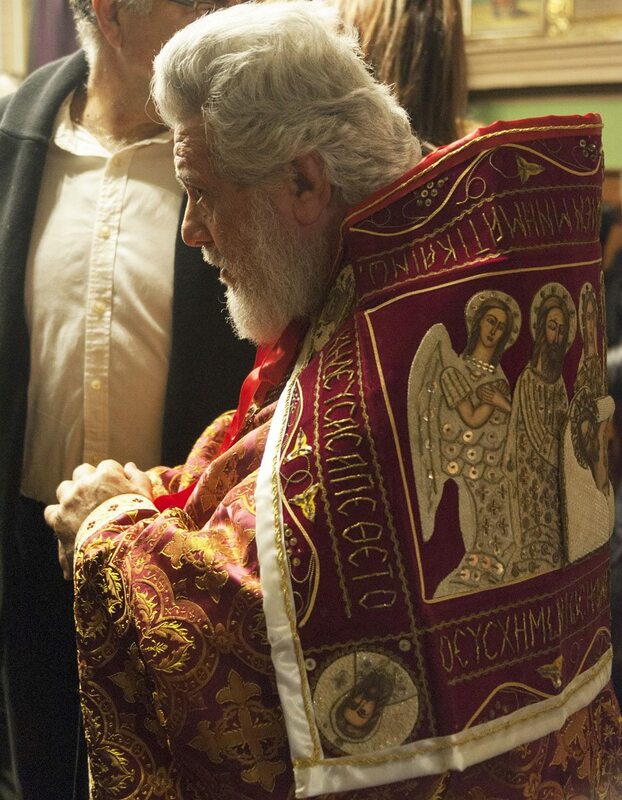 The priest looked tiny, surrounded by what looked like hundreds of people, a small elderly man with a bushy beard, wrapped in a shimmering cloak. His silhouette was set against the painted iconostasis at the far end of the room. The priest spoke, and people answered. A song, a chant, a prayer. Words known by heart. 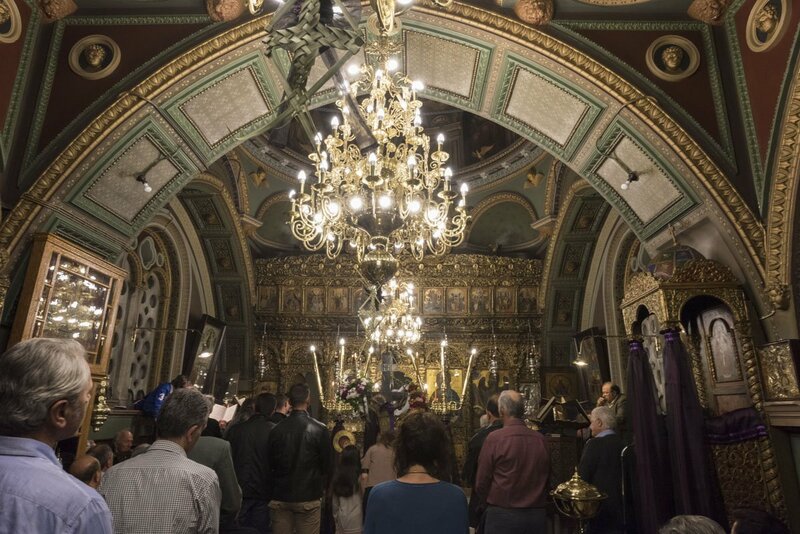 Energy filled the room – and at the stroke of midnight, that same energy was released with the cries of Christos Anesti, the fireworks, smiles and cheers. 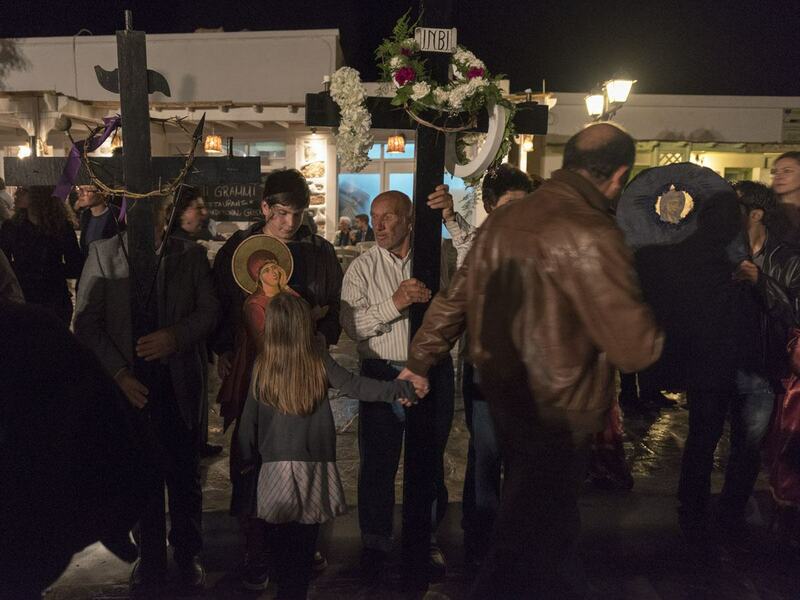 It felt a bit like Christmas, a bit like New Year’s – it was Orthodox Easter, celebrated on Astypalea, a small Greek Island in the middle of the Aegean sea. 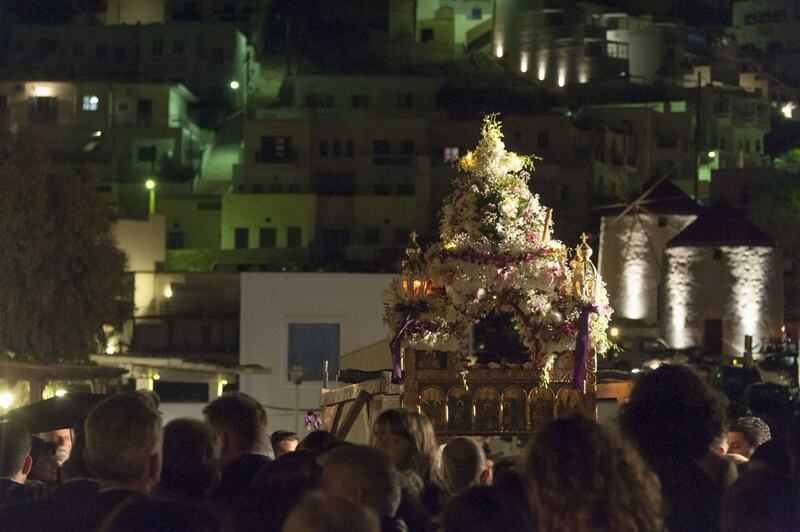 We got to Astypalea three days before, after a long ferry crossing from Athens. We docked just as the faintest trace of a sunrise appeared, and by the time we reached our apartment a pink-blue hue lit the honeycomb houses of Chora, Astypalea’s largest village. A large stone castle sits atop Chora, seemingly dominating not only the village, but the whole island. It was built by the Venetians in the mid-15th century – since then, the island has been dominated by the Ottoman Turks and the Italians, before becoming part of Greece in the aftermath of WW2. 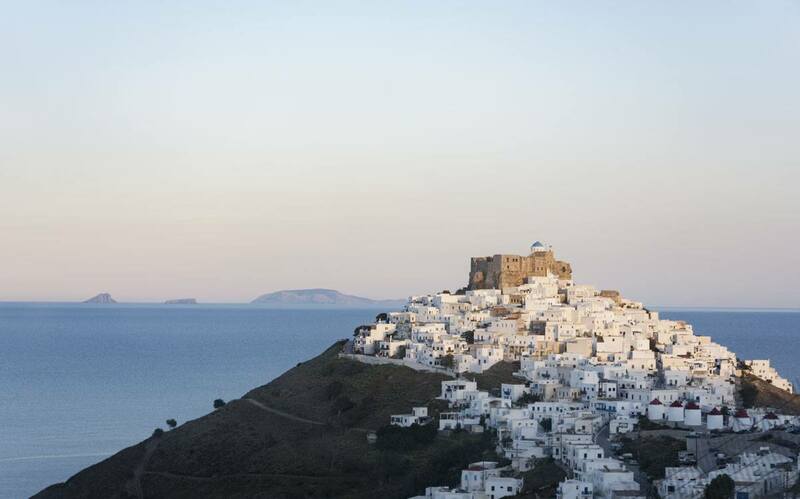 Astypalea is far removed from the well-trodden tourist trails around the Greek islands. Miles away from glitzy Mykonos and tourist-packed Santorini. 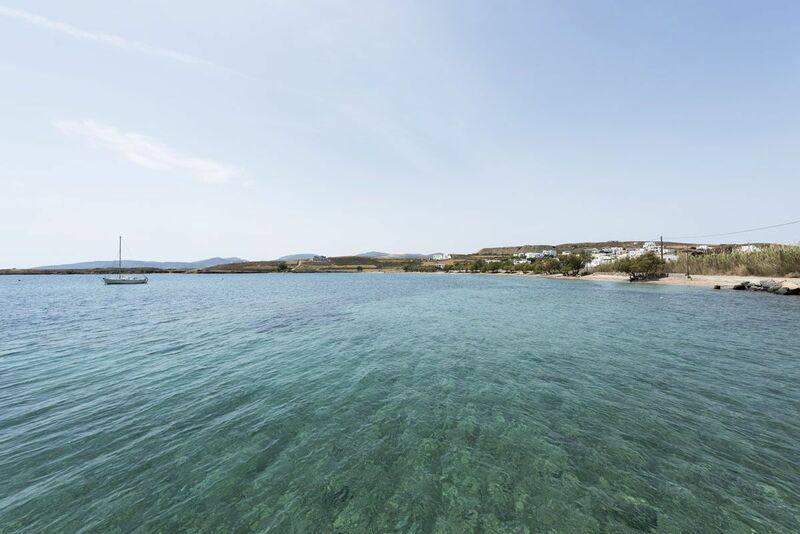 Geographically, it’s part of the Dodecanese – but it kind of sits in the middle of nowhere, between the Dodecanese and the Cyclades, part of both and part of neither at the same time. 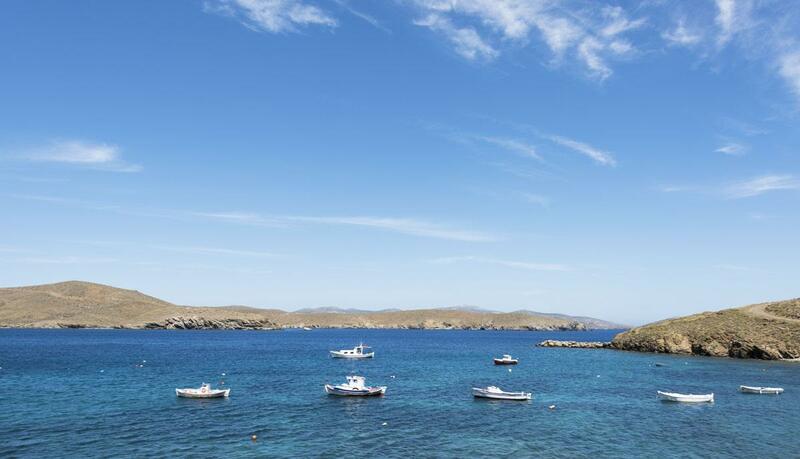 The island is a place where you can touch the soul of the Greek Islands. After our sunrise arrival, three days followed – three long, lazy, relaxing days, with Easter on the horizon. 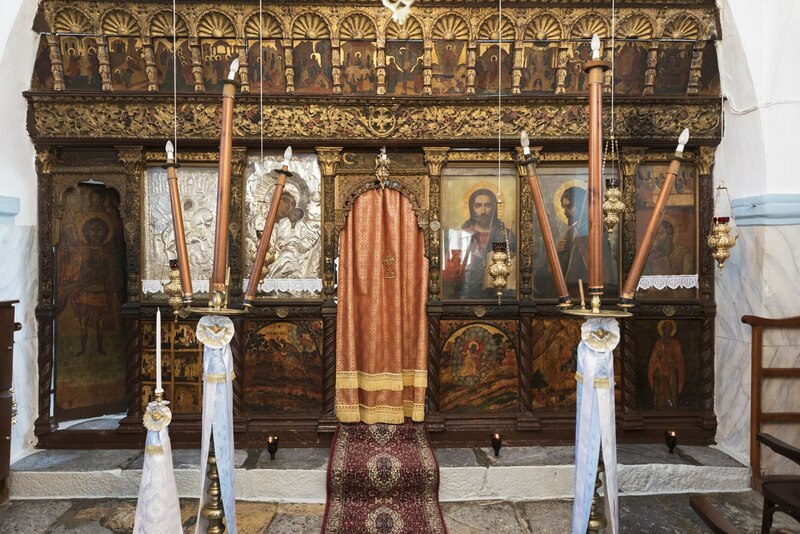 Every night we would visit the tiny church, which was never empty. 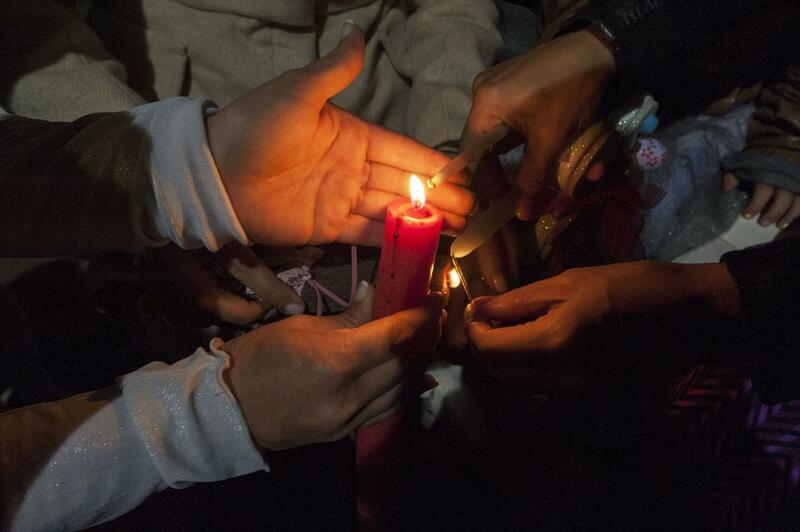 On Thursday night its walls echoed with ageless prayers. We ate vegan food on Good Friday – colourful and delicious in its simplicity – while the locals fasted. 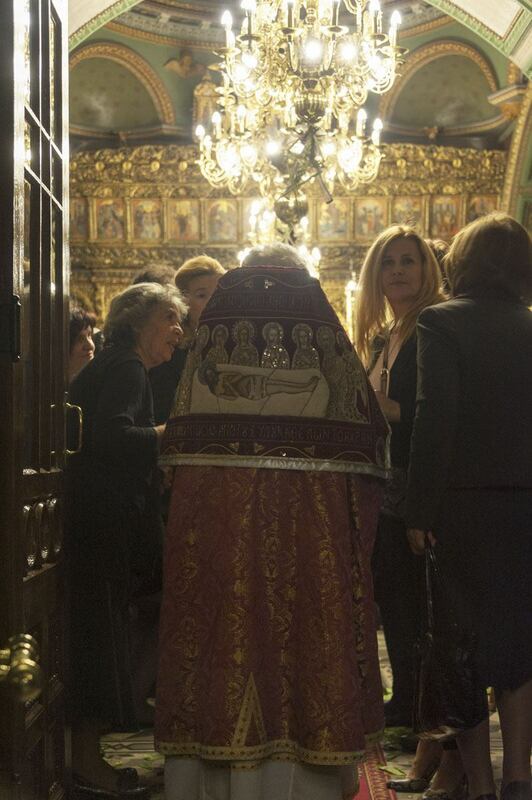 On Friday night, we stood under the pounding rain in front of the church, while the priest paced back and forth, deciding whether or not to cancel the Good Friday procession. Luckily, at the end he didn’t – and we followed icons, saints and statues down the snaking, slippery streets, down to ‘Windmill Square’ – the unofficial center of town – where one after the other all of Astypalea’s citizens lined up to kiss the icons and stroke the statues, while a huge bolt of lightning sliced the sky and turned darkness into day. The day before Easter, we went on a mini-island tour. We drove up to a mountain ridge, where a single windmill overlooked Chora below. 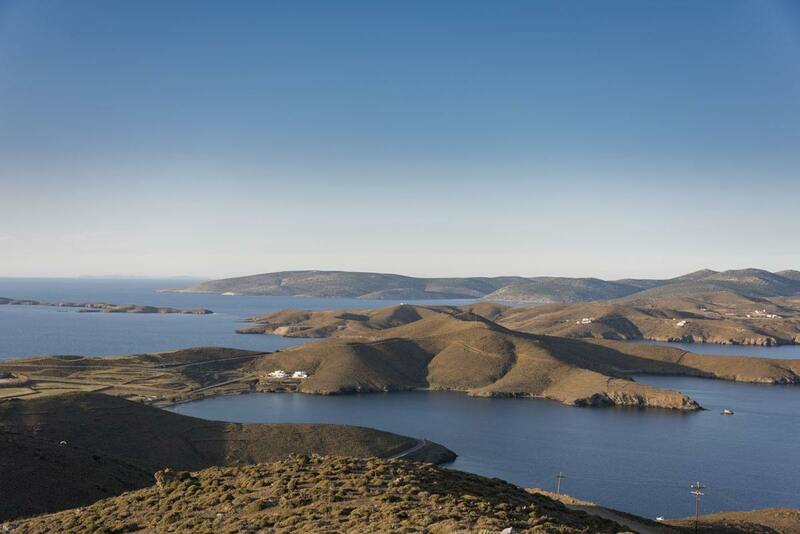 There, we saw Astypalea – nicknamed the ‘butterfly island’, indeed looking like a butterfly with her wings unfurled, resting over the ocean. In the spot where the two ‘wings’ of Astypalea met, there was a tiny whitewashed church, with the sea at its back and front. We drove up narrow roads and mountainsides, visited fishermen mending their bright-yellow nets and had a picnic on the beach, where some brave souls dove into the sea whereas others – myself included – barely dipped their toes. 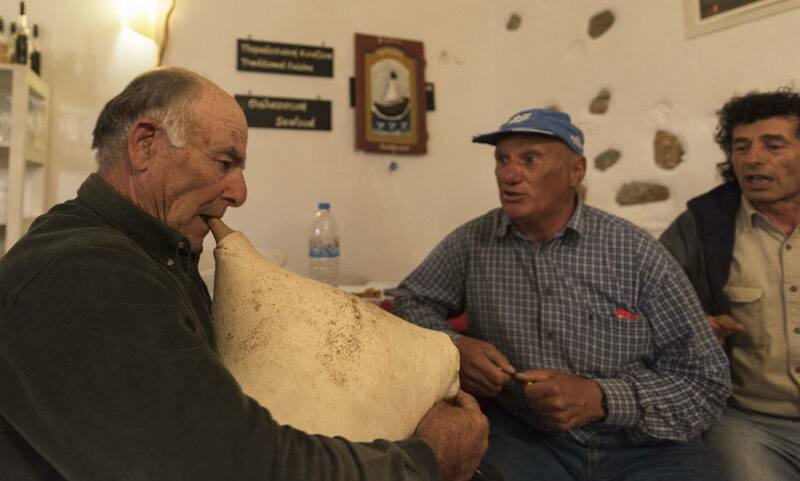 We visited the home of Maria, the vice-mayor of Astypalea and one of our hosts on the island. Her mother, a woman with beautiful blue eyes, stood in front of a stove in the courtyard, stirring a mixture of rice and spices in a pot. I wondered what it was, then I saw it, in a plastic vat covered with a white cloth. The Easter lamb, ready to be stuffed with the rice and spices mixture. Chairs were laid out. Raki was passed around, and almonds dipped in bitter chocolate. The scents from the pot filled the air, mingling with the aroma of thyme and wild herbs wafting from the sea shore. Maria showed us the wood-fired oven at the back of the courtyard, where the lamb was going to be cooked – ‘we’ll bake it all of tonight, and all of tomorrow morning’. In the streets, in the courtyards, behind of the walls of their homes, people got ready for the big day. 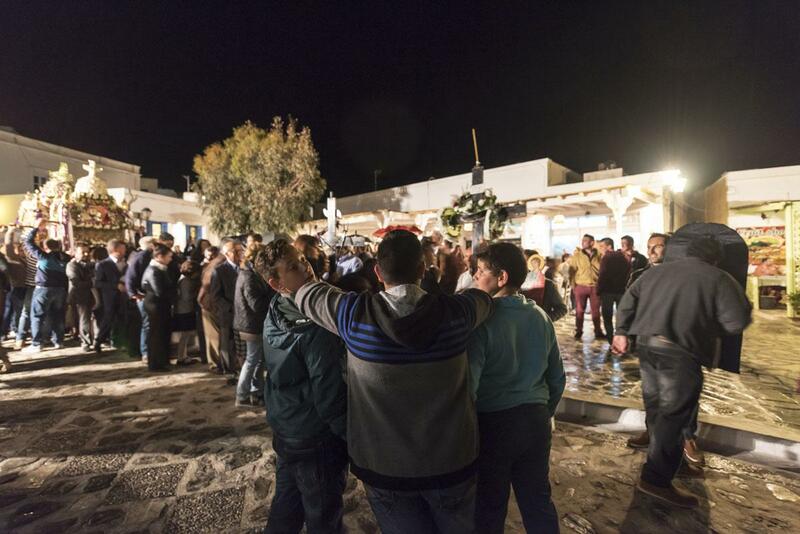 And as night fell, it looked as if the whole island had descended to the two small churches – St. Nicholas, not far from Astypalea’s old port, and Panagia Portaitissa, where I stood, lost in the crowd. 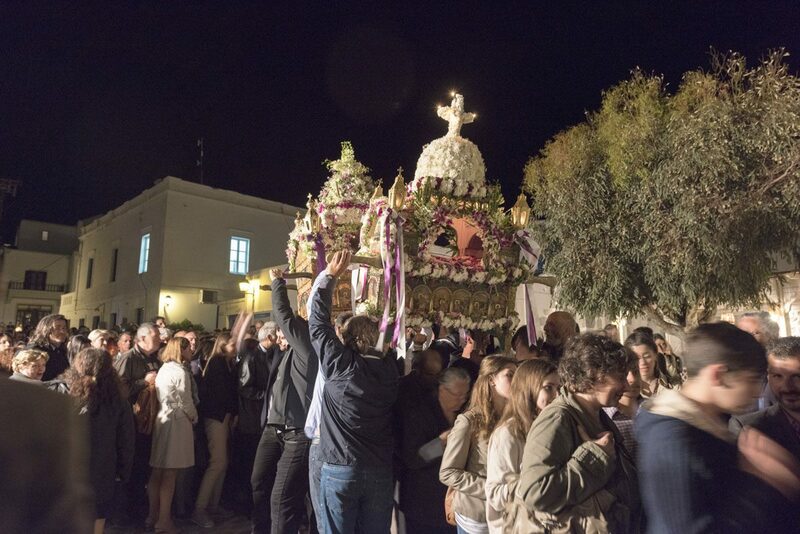 And then – Christos Anesti. Lights, fireworks, raki. Music, cigarette smoke. Food. Plates coming out of the kitchen, one after another. Grilled sausages. Chips specked with oregano. Salty taramasalata. Garlicky tzatziki. Two a.m. and we were still at the table. 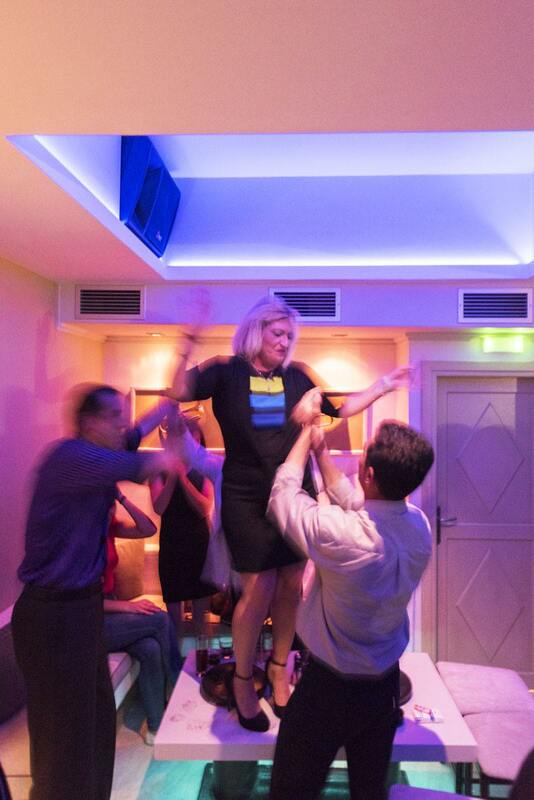 A small club – Greek pop music, cigarette smoke, beer. 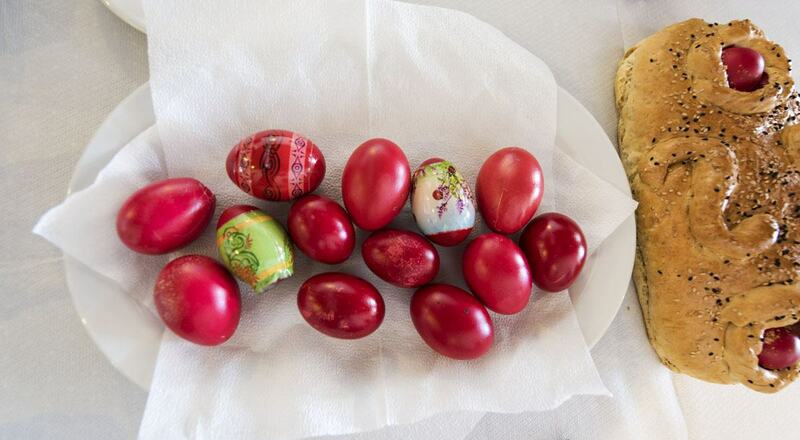 Have you ever been to an Easter party? Easter morning – afternoon? – had a hungover feel. Christmas and New Years rolled into one. We got up as the long rays of the sun tickled our faces, peering from the gaps between curtains. In front of us was Chora and its white houses, clinging to the mountainside. Bougainvillea cascaded over balconies and the sea shone silver – no fishermen’s boats, on that day. We barely walked out of our apartment that we were offered a can of Alfa and a slice of grilled lamb, crispy and tender from the spit. It was a day to be spent with your loved ones. 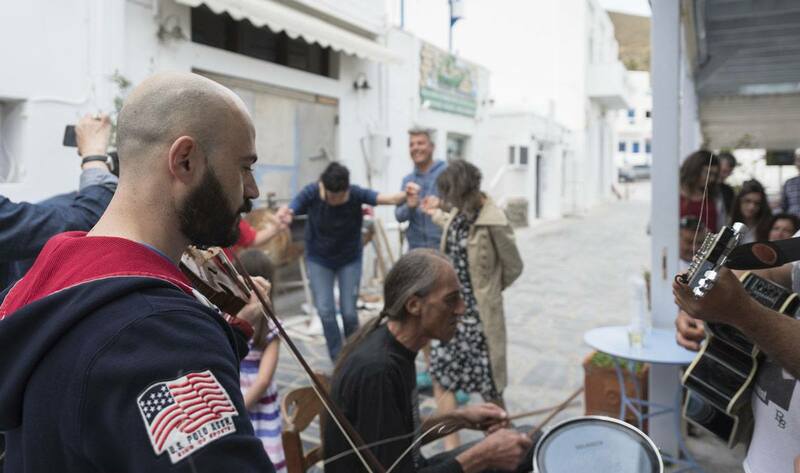 Streets were deserted – we heard chatter and laugh, music filling the courtyards. Even the cats, unofficial rulers of Astypalea’s streets, seemed lazier than usual – stretched on the cracked stone steps, catching the sunshine. Shops and restaurants were firmly shut – save for Ageri, that kept open for our group, so that we could enjoy our Easter lamb. The lamb was the tastiest I’ve ever had in my life. 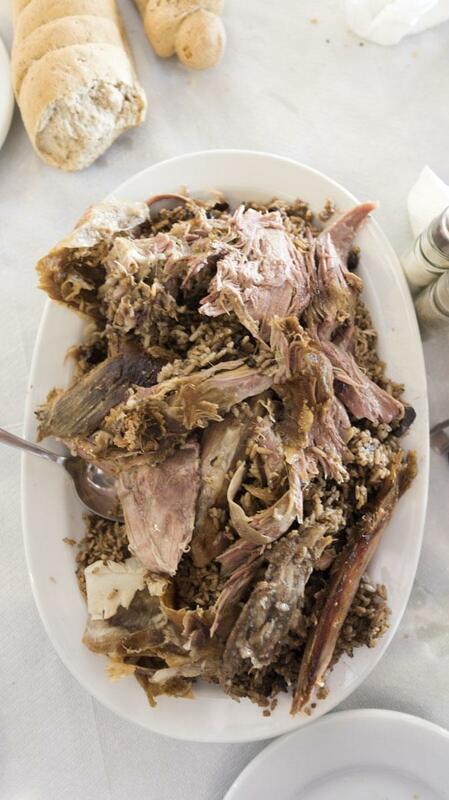 It was tender and infused with the flavours of herbs and spices, the same scents that we experienced while wandering around the island. Food was seemingly never-ending – the kitchen door kept swinging open with a creak, and out came plates of beetroot dip, tzatziki, taramasalata and salad, topped with tasty chunks of feta. 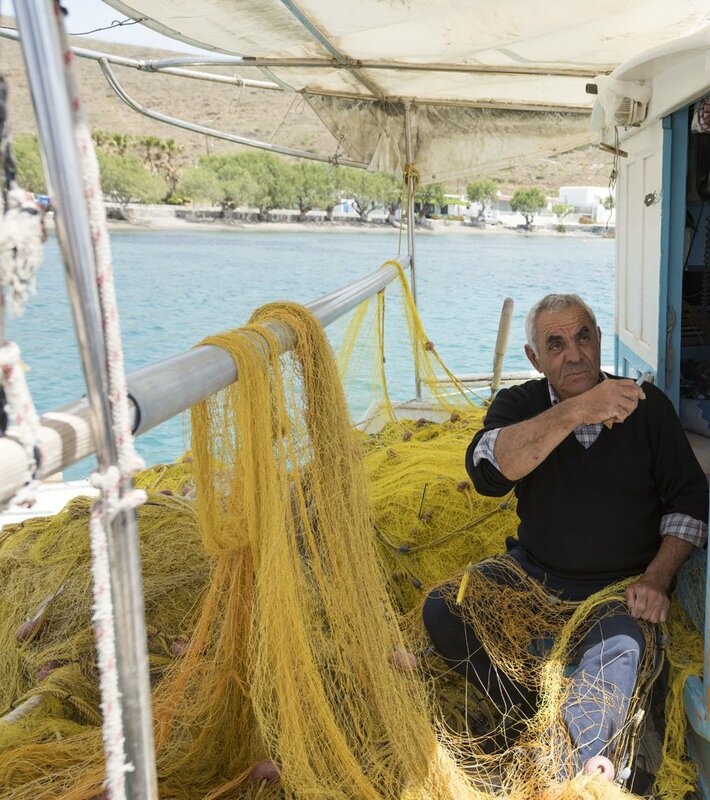 We left the restaurant in the late afternoon, and walked down to Astypalea’s old port, where boats bobbed in the breeze, tied to the shore. An impromptu concert soon began, while the cats were slowly waking from their slumber. No sooner had we sat down and ordered drinks, that more food started coming from the kitchen. Spanakopita, crunchy vegetables from the garden, and – naturally – more lamb. 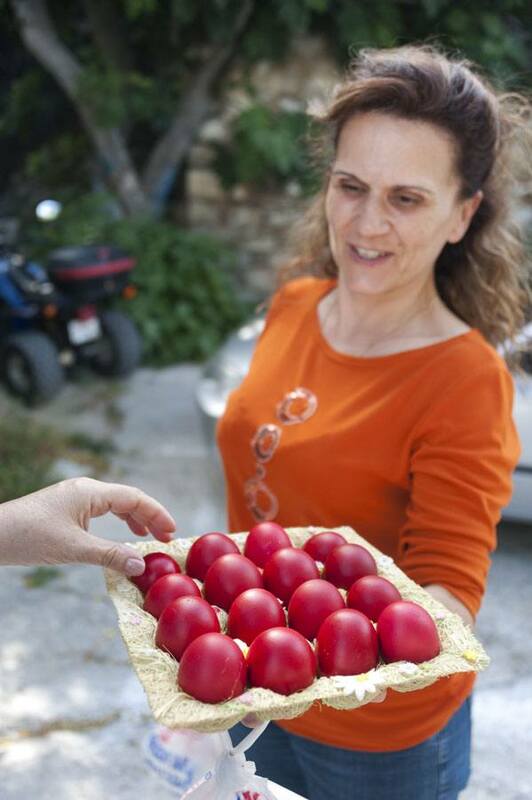 Thinking back to those Easter days in Astypalea, our experience could have been described with one word – hospitality. Our hosts opened their homes and hearts to us, and saying goodbye was very, very hard. It was the kind of hospitality that came from the heart, that you only find in places untouched by mass-tourism. The same feelings we had in Iran, Jordan and the Philippines – three places where we experienced heartfelt hospitality. Goodbye, little island with a big heart. Thanks for the memories. We’ll miss you. 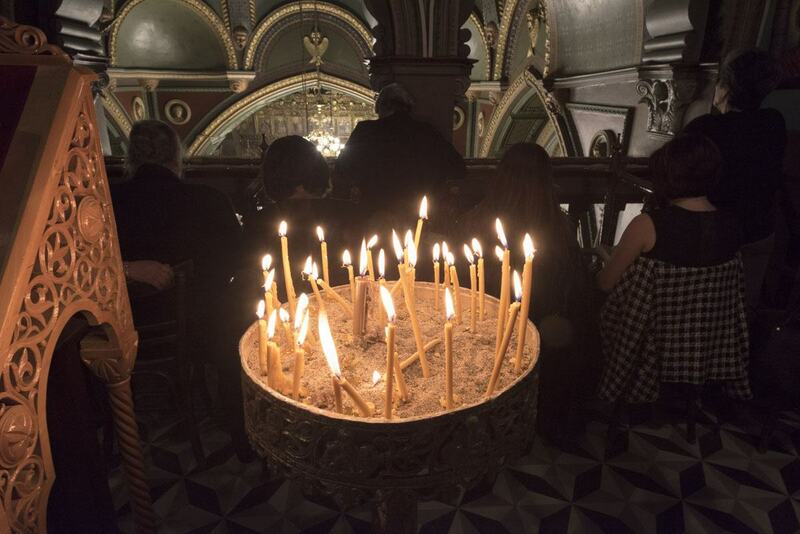 Just like Catholic Easter, the date of Orthodox Easter varies yearly. 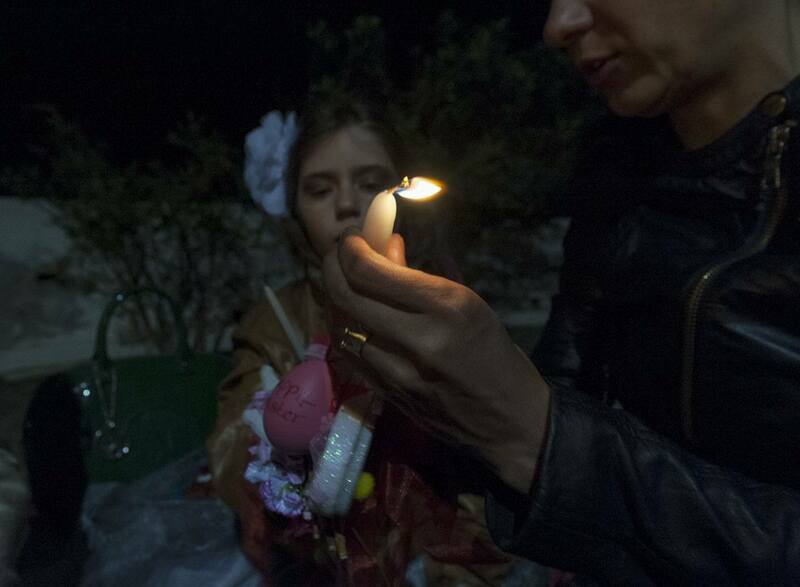 Some years Catholic and Orthodox Easter fall on the same day, other years Orthodox Easter is later – in 2016, it was on May 1st. By Ferry: the cheapest way to travel to and from Astypalea is by ferry. cCheck Blue Star Ferries for the latest timetables and fares. Ferries take around 10-12 hours and cost about €30 for a deck ticket and from €65 onwards for a cabin. By Plane: Olympic Air flies from Athens to Astypalea regularly. 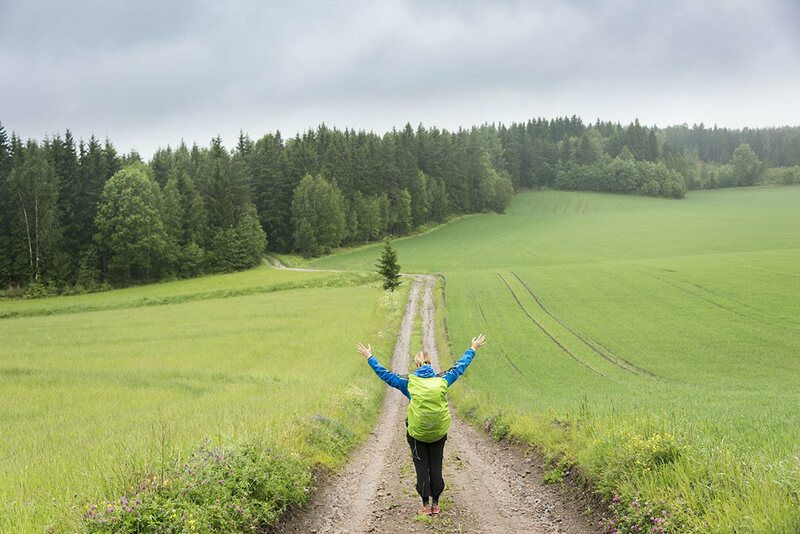 Renting a car will give you the freedom to get around the island – if you choose a 4×4 you’ll have no issue getting up the unpaved trails leading up to the mountains. Get in touch with Delis Car Rental Services for car-rental enquiries. 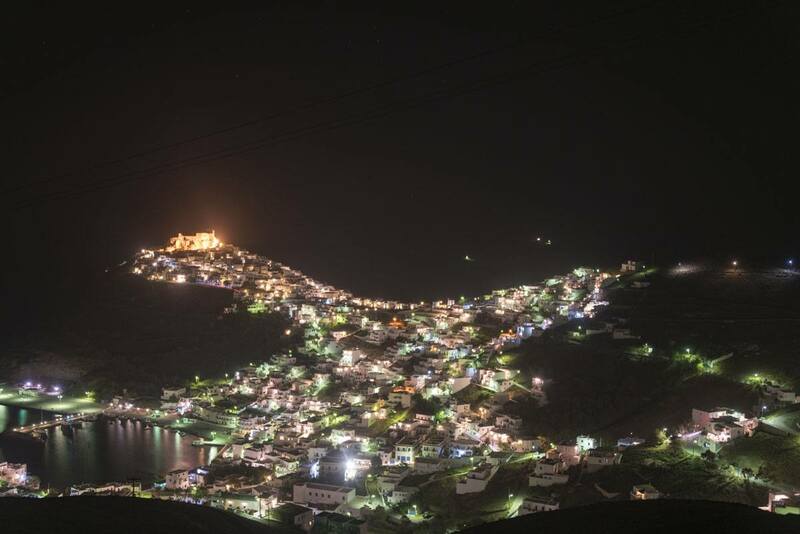 Astypalea has no large or luxury hotels, only family-run B&B and apartments. We stayed at Vythos Apartments, with a stunning view over Chora. 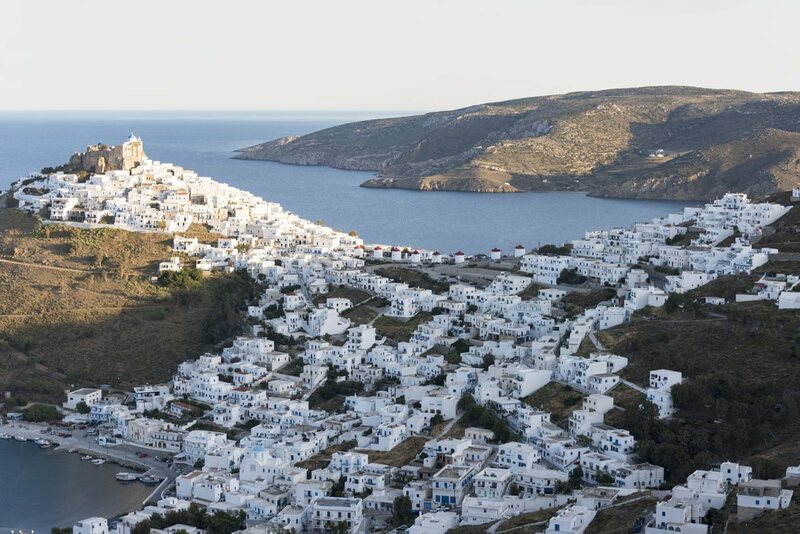 Other options are Kallichoron, an art boutique hotel said to have the best breakfasts in Astypalea, or Andromeda Resort, situated a little further up from Chora, but with views to die for. 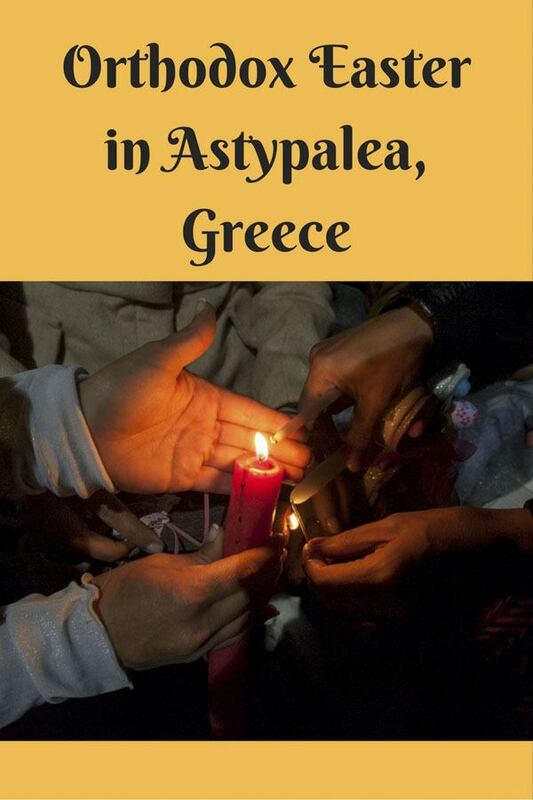 Check our other Astypalea post for more practical info! 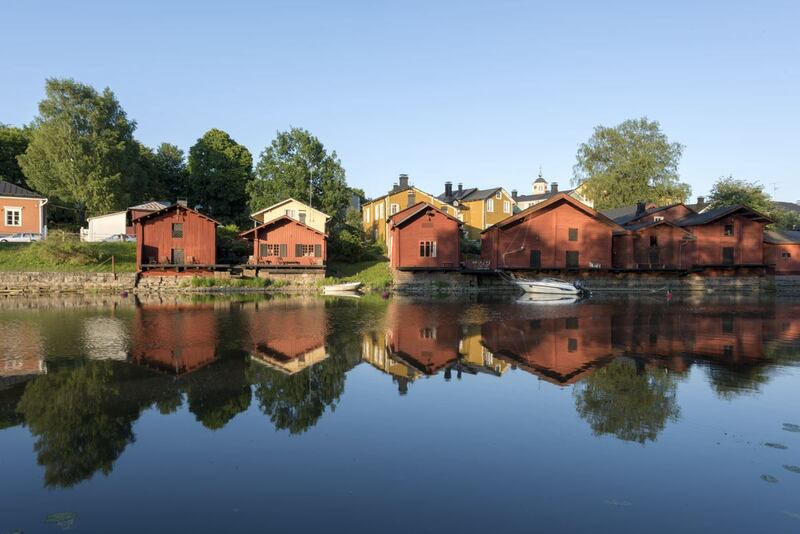 Next Post: 10 Reasons to Visit Porvoo – And Love it!